APSA Online Training Center offers over 150 online courses each providing 4 hours of continuing education credits. Training can be purchased for any number of courses and any number of users. Users can access a course at any time and can complete the course at their own pace. 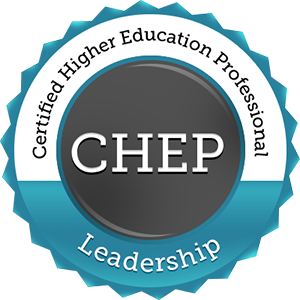 Participants who successfully complete 12 courses in specified training areas earn the Certified Higher Education Professional (CHEP) credential. To maintain certification, CHEPs can meet their annual continuing education requirements by completing 2 courses from any training area. Institutions that provide training opportunities for their employees to earn and maintain the CHEP certification may display the appropriate Institutional Recognition Seals on their websites. Certified professionals receive a Certificate and a Digital Badge to share and showcase their achievements.